Benign liver tumors are exceedingly common and frequently encountered in daily clinical practice. And while their typical appearances pose no significant diagnostic challenge, the atypical appearances may pose difficulty, given their unfamiliarity to many radiologists. Also, an overlap in imaging characteristics in some cases may preclude the definitive differentiation between benign tumors or the confident exclusion of more ominous, malignant lesions. Therefore, understanding the common and uncommon appearances of frequently encountered benign liver tumors as well as the expected appearance of rarely seen tumors is important. 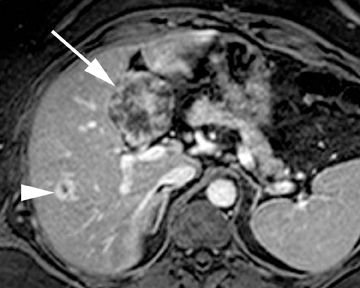 Strategies for confidently diagnosing liver tumors or, in some cases, concluding that additional imaging or an invasive procedure is warranted, are equally vital. While various methods of categorizing benign liver tumors are possible, a classification based on their cell of origin offers an intuitive,simple approach. Thus, we will consider benign liver tumors of epithelial and nonepithelial origin, with the epithelial tumors further classified into tumors of either cholangiocellular or hepatocellular origin. Of the nonepithelial tumors, those of mesenchymal cell origin will be considered. Biliary cystadenomas are rare, typically multilocular neoplasms of the bile ducts that are more frequently encountered in women.2 These predominantly cystic tumors frequently consist of proteinaceous fluid, and a thick capsule, internal septations, and areas of calcification maybe identified on imaging.8 In addition, nodular, enhancing soft-tissue components may be identified within these lesions, but do not definitively indicate the presence of a malignant cystadenocarcinoma. 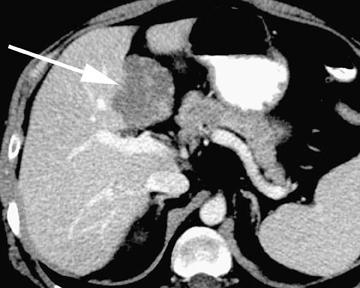 Given the significant overlap of imaging findings between biliary cystadenomas and malignant biliary cystadenocarcinomas, which precludes definitive differentiation, surgical consultation is typically warranted. Peribiliary cysts represent retention cysts of peribiliary glands, identified along the course of the portal veins, predominantly in the centralliver.10 Peribiliary cysts are associated with advanced and portal hypertensive liver disease and are also present in patients with polycysticliver disease.11 Uncommon complications of peribiliary cysts include obstructive jaundice and hepatolithiasis. On imaging, peribiliary cysts may be misinterpreted as intrahepatic biliary dilatation, given their cystic nature and their presence along the bile ducts. Their central location as well as the direct visualization of their discrete cystic nature, which is typically apparent on MRI, offers useful imaging features in differentiating peribiliary cysts from biliary dilatation. 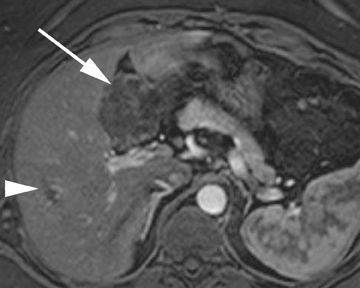 Focal nodular hyperplasia (FNH) represents the second-most common benign tumor of the liver with a reported incidence of 0.9%.14 Typically an incidental finding on imaging studies, FNH is theorized to represent a hyperplastic response to a localized vascular abnormality, given its association with benign vascular neoplasms, including hemangiomas. The differentiation of FNH from other hepatocellular lesions, such as hepatic adenoma and hepatocellular carcinoma, is clinically important and may be confidently achieved with noninvasive imaging. 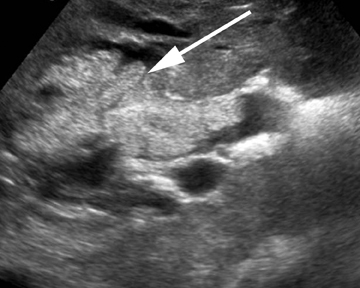 Unless a prominent central scar is identified, FNH is often subtle on ultrasound, with only minimal differences in echogenicity compared to the normal liver parenchyma. 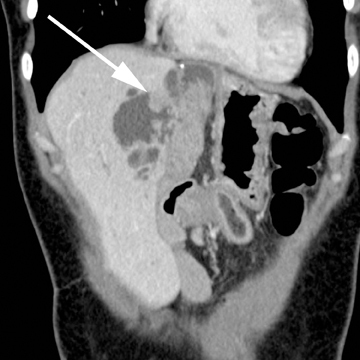 On contrast CT, FNH is characterized by brisk, homogeneous enhancement, save for the central scar (Figure 5). On subsequent, later phases of enhancement, the lesions typically become increasingly isoattenuating with respect to the adjacent liver parenchyma while the central scar may demonstrate enhancement, particularly on a more delayed phase of image acquisition. 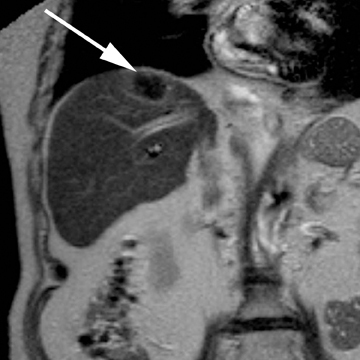 The presence of a central scar, a useful imaging feature in the confident diagnosis of FNH, has been reported in 50% of cases withCT imaging.15 Similar enhancement characteristics, including the central scar, have been reported on MRI. 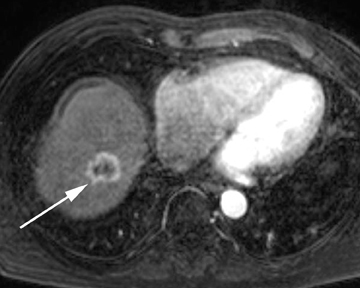 Compared to ultrasound and CT,MRI has both a higher sensitivity and specificity for FNH and detects the central scar more frequently.16 In cases in which a central scar is not readily identified or typical imaging features are not present, hepatocellular contrast agents may improve confidence in differentiatingFNH from other hepatocellular lesions (Figure 5). In the case of gadobenate dimeglumine, 97% of FNH are reported to be hyper- or isointense with respect to the adjacent liver parenchyma on the hepatocellular phase of image acquisition.17 In the case of gadoxetic acid, 100% ofFNH has been reported to be hyperintense with respect to the adjacent liver parenchyma on the hepatocellular phase of image acquisition.18 These contrast agents may increase reader confidence in the diagnosis or exclusion of FNH based on differences in enhancement patterns between this tumor and other hepatocellular lesions, discussed below. 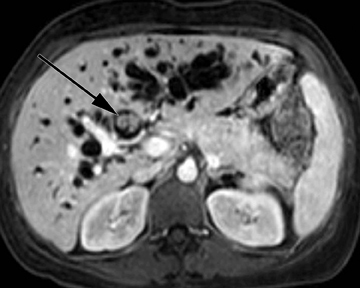 Most benign liver tumors, even those of atypical appearance, may confidently be diagnosed with noninvasive imaging. Familiarity with the spectrum of imaging appearances of these exceedingly common tumors is useful in preventing misdiagnoses or inappropriate invasive interventions. A classification based on the cell of origin offers an intuitive approach to categorize the myriad benign hepatic tumors. Carrim ZI, Murchison JT. 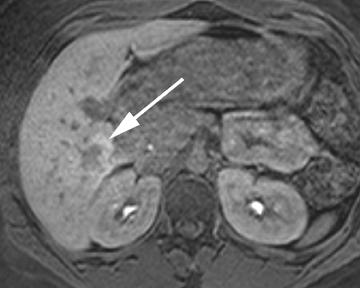 The prevalence of simple renal and hepatic cysts detected by spiral computed tomography. Clin Radiol. 2003;58:626-629. Mortelé KJ, Ros PR. 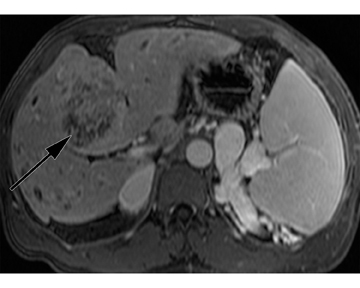 Cystic focal liver lesions in the adult: Differential CT and MR imaging features. Radiographics. 2001;21:895-910. Ishikawa H, Uchida S, Yokokura Y, et al. Nonparasitic solitary huge liver cysts causing intracystic hemorrhage or obstructive jaundice. J Hepatobiliary Pancreat Surg. 2002;9:764-768. Strazzabosco M, Somlo S. Polycystic liver diseases: Congenital disorders of cholangiocyte signaling. Gastroenterology. 2011;140:1855-1859. Bockhorn M, Malagó M, Lang H, et al. The role of surgery in Caroli’s disease. J Am Coll Surg. 2006;202:928-932. Lev-Toaff AS, Bach AM, Wechsler RJ, et al. The radiologic and pathologic spectrum of biliary hamartomas. AJR Am J Roentgenol. 1995;165: 309-313. Semelka RC, Hussain SM, Marcos HB, Woosley JT. 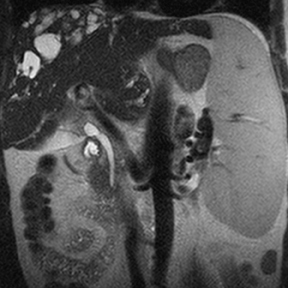 Biliary hamartomas: Solitary and multiple lesions shown on current MR techniques including gadolinium enhancement. J Magn Reson Imaging. 1999;10:196-201. Lim JH, Jang KT, Rhim H, et al. Biliary cystic intraductal papillary mucinous tumor and cystadenoma/cystadenocarcinoma: differentiation by CT. Abdom Imaging. 2007;32:644-651. Lim JH, Zen Y, Jang KT, et al. Cyst-forming intraductal papillary neoplasm of the bile ducts: Description of imaging and pathologic aspects. AJR Am J Roentgenol. 2011;197:1111-1120. Terayama N, Matsui O, Hoshiba K, et al. 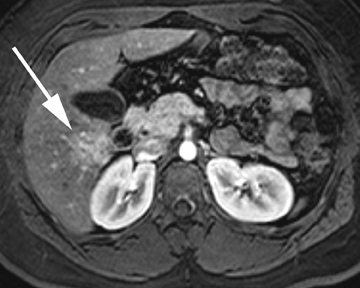 Peribiliary cysts in liver cirrhosis: US, CT, and MR findings. J Comput Assist Tomogr. 1995;19: 419-423. Gupta S, Seith A, Dhiman RK, et al. 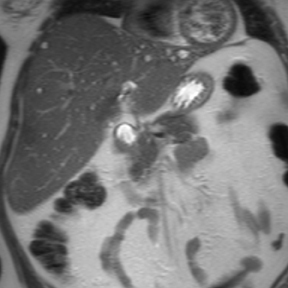 CT of liver cysts in patients with autosomal dominant polycystic kidney disease. Acta Radiol. 1999;40: 444-448. Tajima T, Honda H, Kuroiwa T, et al. 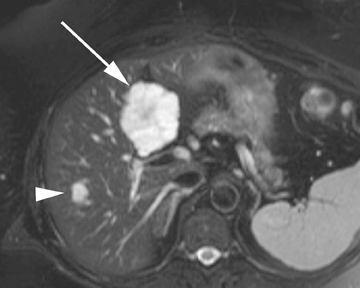 Radiologic features of intrahepatic bile duct adenoma: A look at the surface of the liver. J Comput Assist Tomogr. 1999;23:690-695. Maeda E, Uozumi K, Kato N, et al. Magnetic resonance findings of bile duct adenoma with calcification. Radiat Med. 2006;24:459-462. Wanless IR, Albrecht S, Bilbao J, et al. 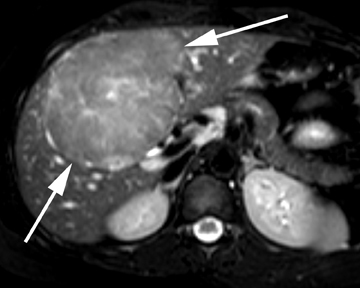 Multiple focal nodular hyperplasia of the liver associated with vascular malformation of various organs and neoplasia of the brain: Anew syndrome. Mod Pathol. 1989;2:456–462. Brancatelli G, Federle MP, Grazioli L, et al. 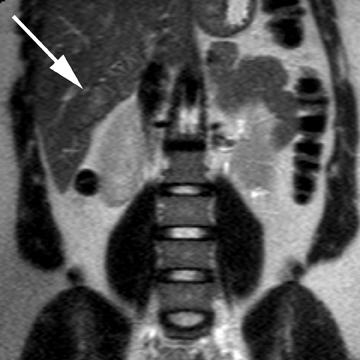 Focal nodular hyperplasia: CT findings with emphasis on multiphasic helical CT in 78 patients. Radiology. 2001;219:61-68. Hussain SM, Terkivatan T, Zondervan PE, et al. Focal nodular hyperplasia: Findings at state-of-the-art MR imaging, US, CT, and pathologic analysis. Radiographics. 2004;24:3-17. Grazioli L, Morana G, Kirchin MA, Schneider G. Accurate differentiation of focal nodular hyperplasia from hepatic adenoma at gadobenate dimeglumine-enhanced MR imaging: prospective study. Radiology. 2005;236:166-177. Grazioli L, Federle MP, Brancatelli G, et al. 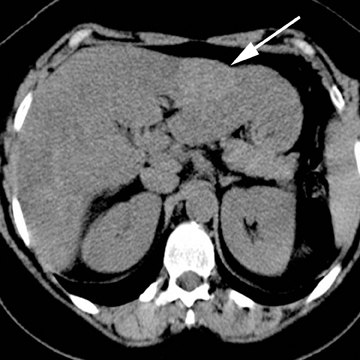 Hepatic adenomas: Imaging and pathologic findings. Radiographics. 2001;21:877-892. Micchelli ST, Vivekanandan P, Boitnott JK, et al. Malignant transformation of hepatic adenomas. Mod Pathol. 2008;21:491-497. Laumonier H, Bioulac-Sage P, Laurent C, et al. 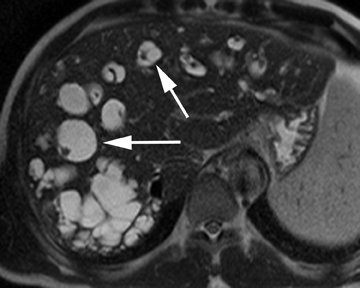 Hepatocellular adenomas: Magnetic resonance imaging features as a function of molecular pathological classification. Hepatology. 2008;48:808-818. Grazioli L, Bondioni MP, Haradome H, et al. Hepatocellular adenoma and focal nodular hyperplasia: Value of gadoxetic acid-enhanced MR imaging in differential diagnosis. Radiology. 2012;262:520-529. Vilgrain V, Boulos L, Vullierme MP, et al. Imaging of atypical hemangiomas of the liver with pathologic correlation. Radiographics. 2000;20:379-397. Brancatelli G, Federle MP, Blachar A, Grazioli L. Hemangioma in the cirrhotic liver: Diagnosis and natural history. Radiology. 2001;219:69-74. Basaran C, Karcaaltincaba M, Akata D, et al. 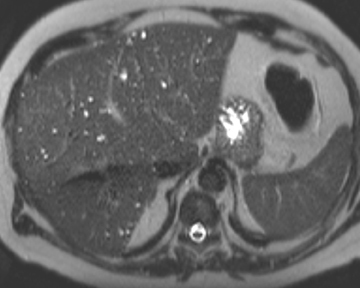 Fat-containing lesions of the liver: Cross-sectional imaging findings with emphasis on MRI. AJR Am J Roentgenol. 2005;184:1103-1110. Hirasaki S, Koide N, Ogawa H, et al. Tuberous sclerosis associated with multiple hepatic lipomatous tumors and hemorrhagic renal angiomyolipoma. Intern Med. 1999;38:345-348. Hooper LD, Mergo PJ, Ros PR. 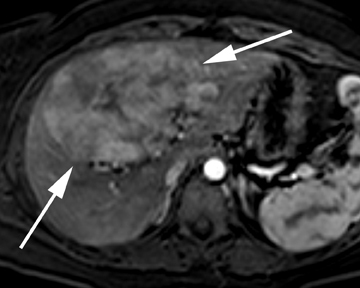 Multiple hepatorenal angiomyolipomas: Diagnosis with fat suppression, gadolinium-enhanced MRI. Abdom Imaging. 1994;19:549-551. 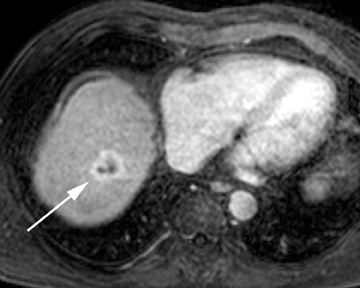 Martí-Bonmatí L, Menor F, Vizcaino I, Vilar J. Lipoma of the liver: US, CT, and MRI appearance. Gastrointest Radiol. 1989;14:155-157. Confidently characterizing benign liver tumors. Appl Radiol. Dr. Anderson and Dr. Soto are at the Department of Radiology, Boston University Medical Center, Boston, MA. Dr. Kruskal is at Department of Radiology,Beth Israel Deaconess Medical Center, Boston, MA.